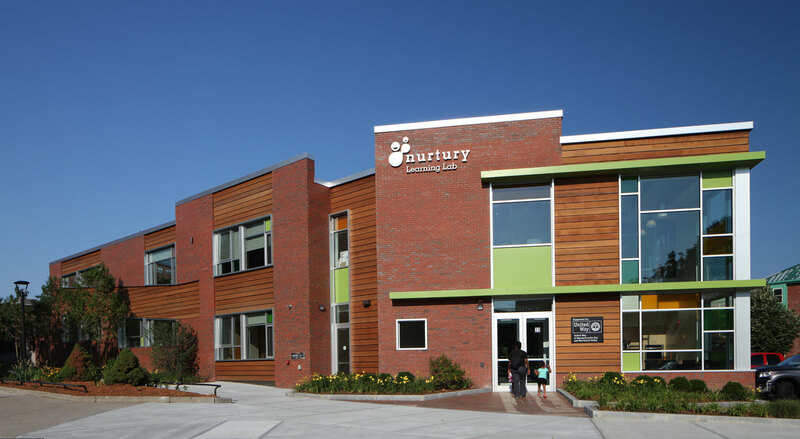 Meeting a need for increased community connectivity, access to social, wellness, and educational services, and ample natural outdoor space, the Nurtury learning lab is situated in the heart of the Bromley-Heath housing development in Boston’s Jamaica Plain neighborhood and revitalizes the neighborhood with a dynamic new building and enhanced green spaces. 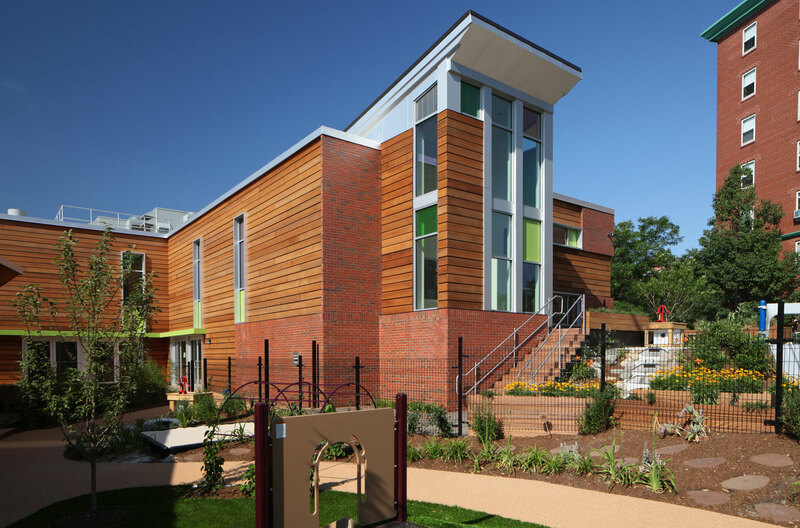 The exterior brick, natural cedar, and glass create an open, welcoming, and distinctive architecture that reveals a warm and vibrant interior. 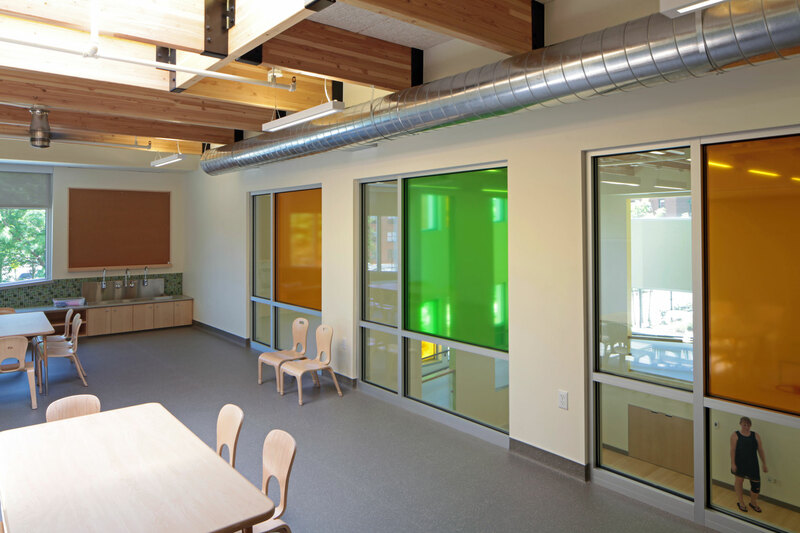 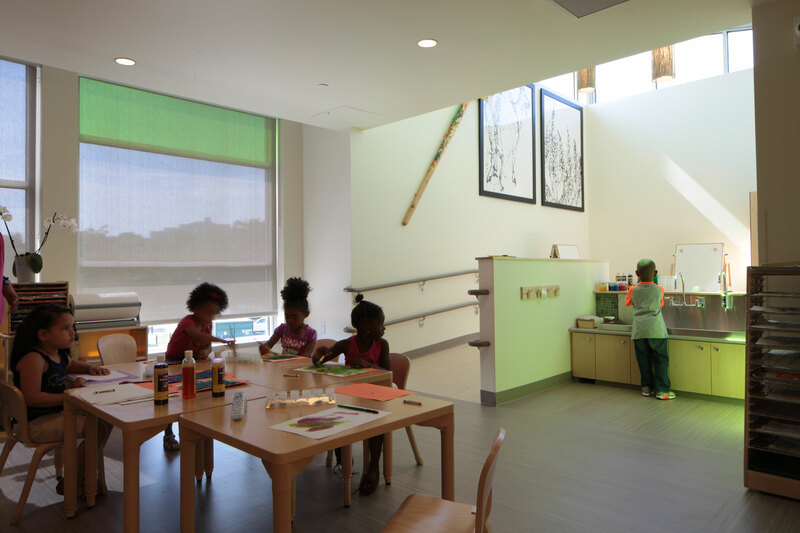 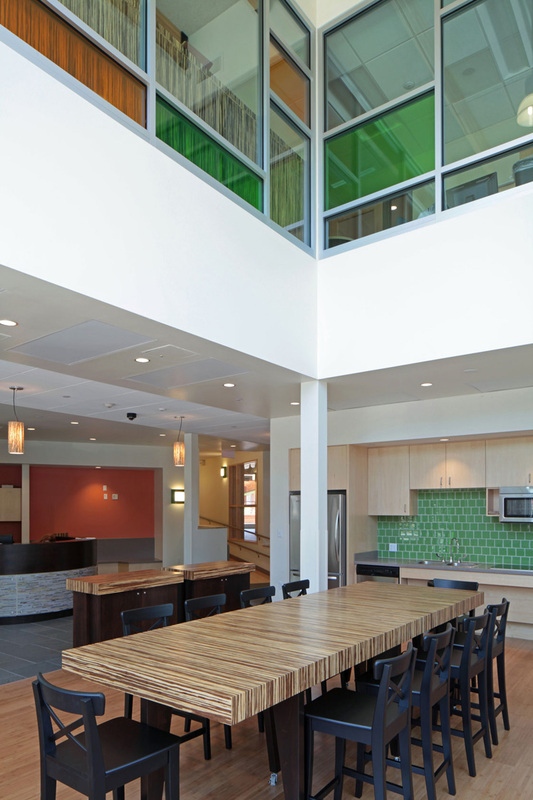 To ensure sustainability, energy efficiency, and a healthier climate for children and staff, studioMLA designed the Learning Lab to achieve LEED Gold certification. 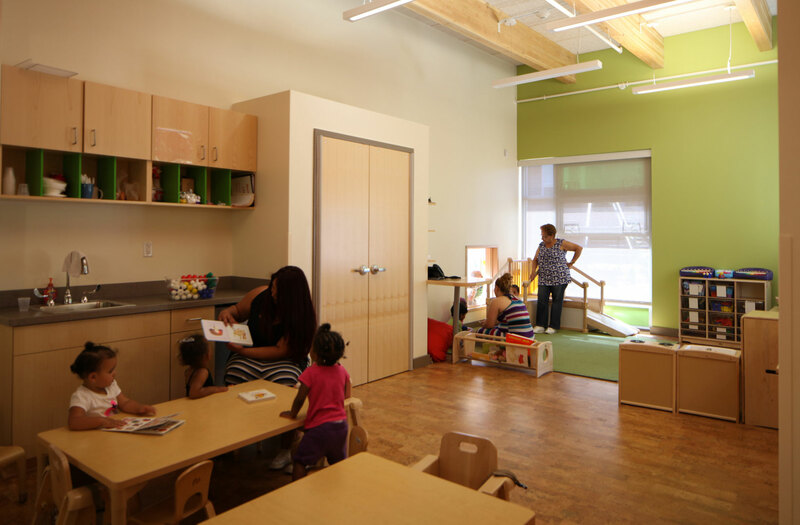 Early education-specific classrooms together with a teaching kitchen offering cooking classes and health promotion services, are designed to set a new standard and become a model for how the physical environment can enhance the learning experience. 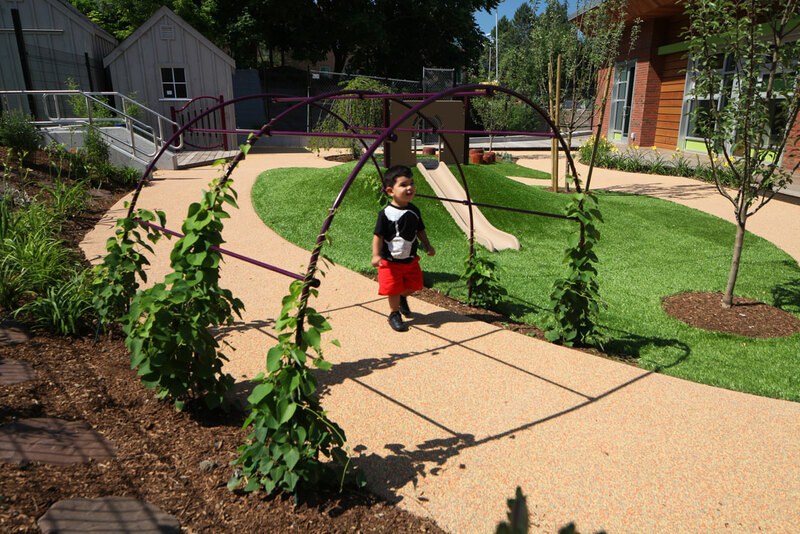 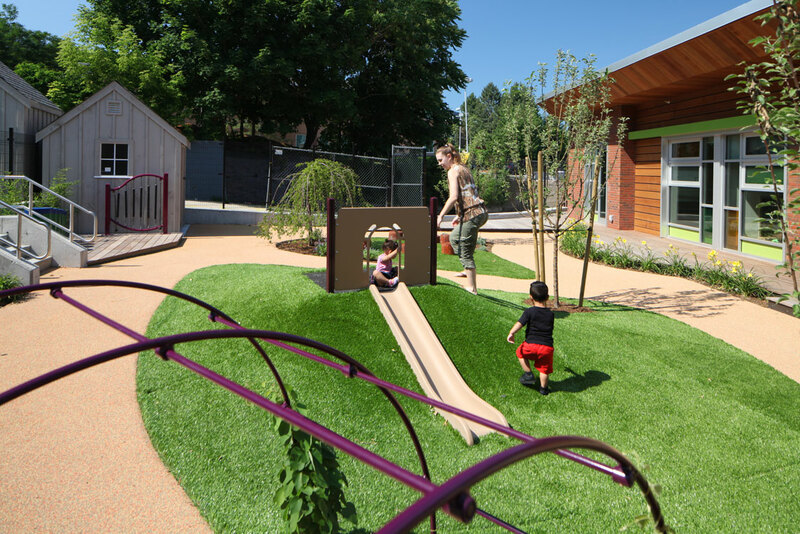 A natural playground with a host of natural play opportunities, abundant vegetation, and gardens, as well as a greenhouse, allow children to connect earth, sun, plants, and the foods they eat and develop an understanding of natural systems. 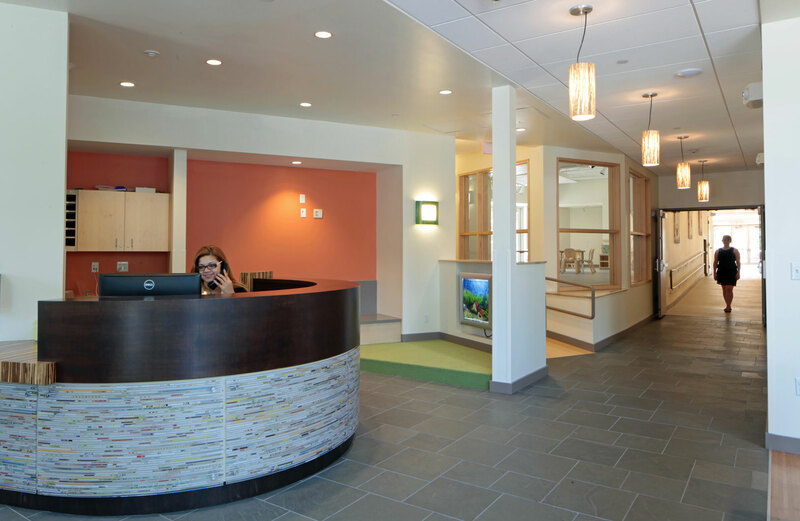 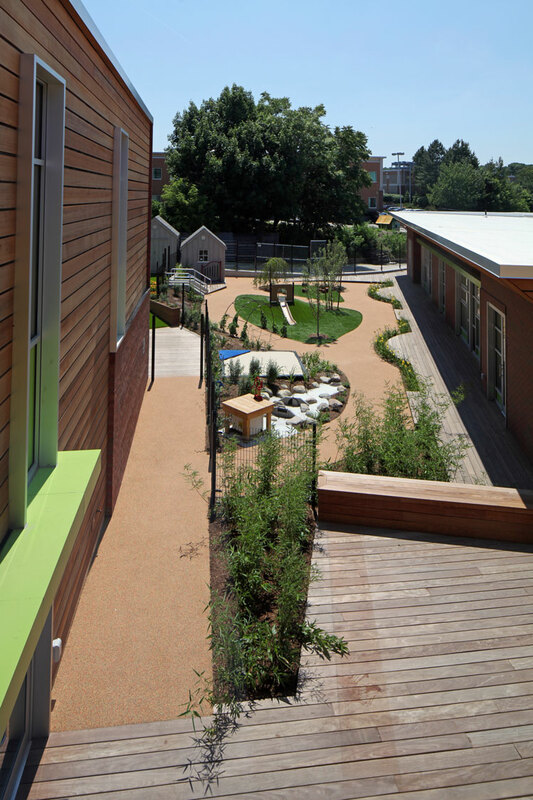 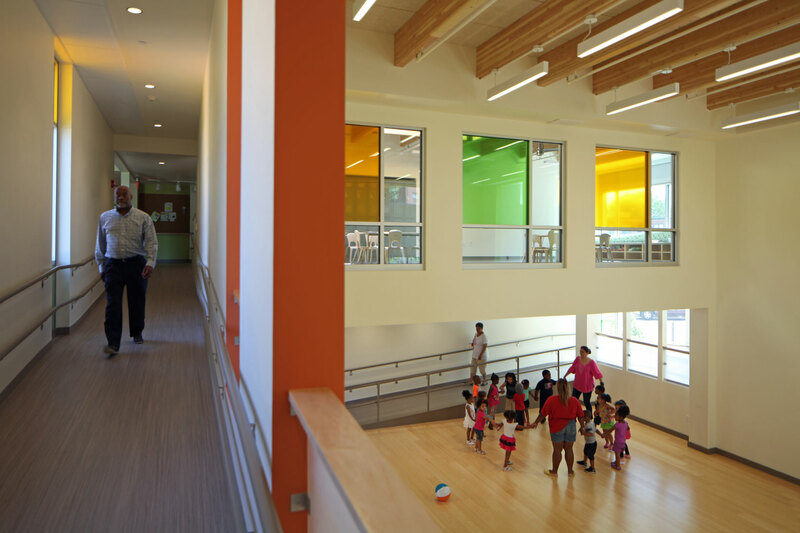 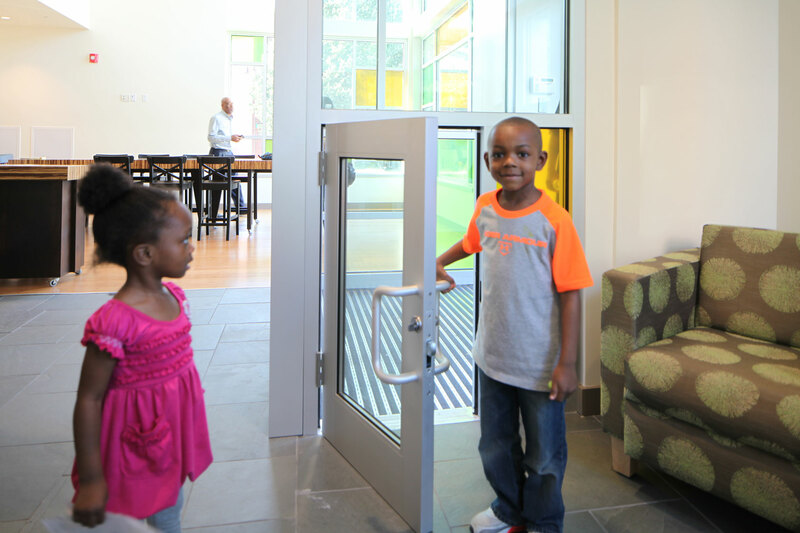 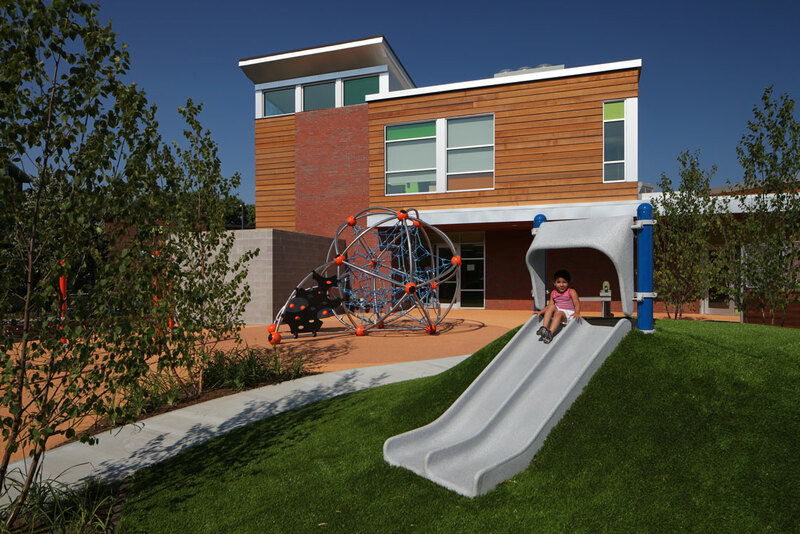 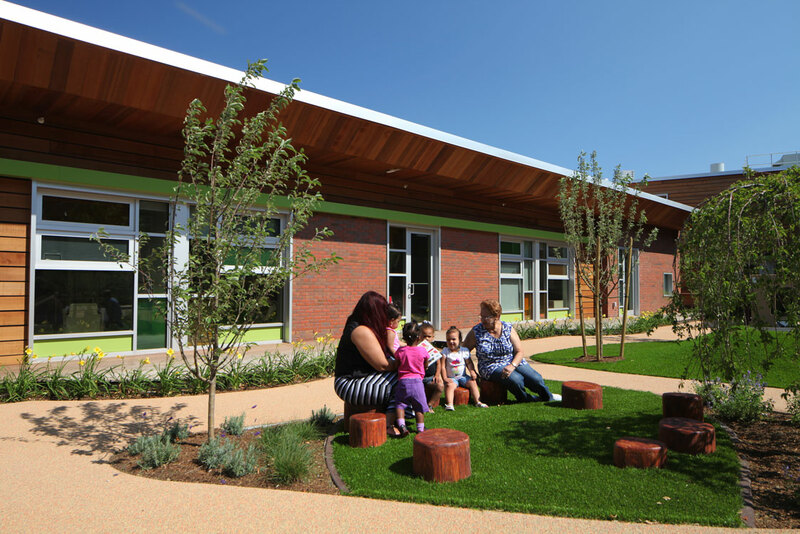 At 22,400 square feet, the building supports classrooms and outdoor natural play for 143 infants, toddlers and preschoolers.